And the Shy Guy on the left is standing on another one's head? Wow. I love that last panel. Awesome. I also love the color and lighting in this comic. It has a dreamlike quality to it. 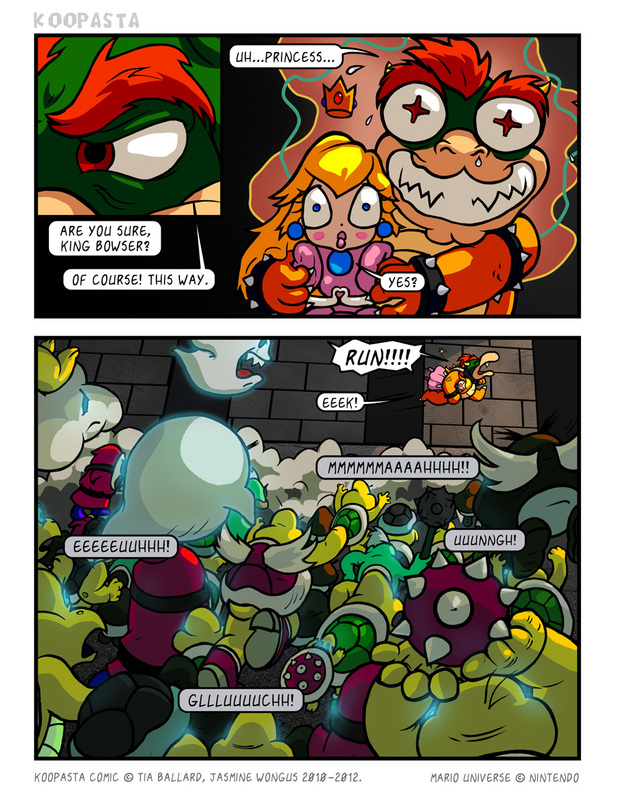 This'd make for one heck of a Mario RPG storyline.